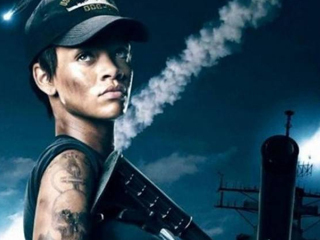 R&B star Rihanna has bagged a comedy film after making her debut in Battleship. The 24-year-old singer-actress will be starring in Seth Rogen’s new comedy The End Of The World, reported Contactmusic. Rihanna was spotted shooting scenes with actress Emma Watson in New Orleans, Louisiana on Thursday, alongside co-star Jonah Hill. The Umbrella hitmaker also took to Twitter to drop hints about the project. “Movie time in NO, all my fav comedians in one room! Pure laughs non stop (sic),” she posted. A host of stars including James Franco, Jason Segel, Danny McBride and Mindy Kaling have signed up to play themselves in the apocalypse-themed film, which is set for release next year.